For many Americans, the pursuit of happiness is getting harder every day. But in the growing movements demanding justice and equality for all, we see the hard work of patriotism flourishing all around us. In one of his first official acts upon taking office, President Trump designated the day of his inauguration a “National Day of Patriotic Devotion.” While it’s not unusual for incoming presidents to issue symbolic proclamations, Trump’s choice of words reflected the extreme nationalism of a White House that “seriously considered” an inaugural parade with military tanks rolling down the streets of Washington, DC. “A new national pride stirs the American soul and inspires the American heart,” he proclaimed. As George Orwell once wrote, however, “Nationalism is not to be confused with patriotism.” And nearly six months into Trump’s presidency, it seems especially fitting on this Fourth of July to reflect on the meaning of patriotism and to consider how one can be patriotic during such deeply troubling times for the country. Throughout our history, American patriotism too commonly has been associated with uniform praise for the military and uncritical support for war, along with a visceral belief in America’s “greatness” that provided the rhetorical foundation for Trump’s campaign. Especially in times of conflict—from the Spanish-American War to Vietnam to Iraq and Afghanistan—those who dare to dissent have frequently met with public scorn and shouts of disloyalty. 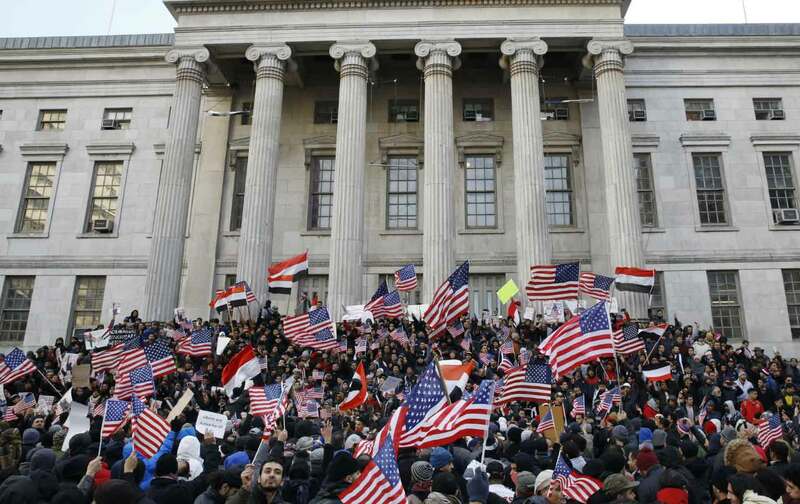 Protest, too often, has been deemed unpatriotic.